The selection will be on the basis of Department Presentation and Interview. 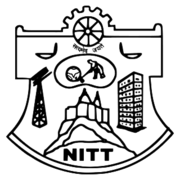 Eligible candidates may apply online at NIT Trichy's website (direct link is given below) from 30 Jan 2019 to 28 Feb 2019. Candidates log on to http://www.nitt.edu/. Go to "Job Opportunities > Current Openings" & Select the desired post.